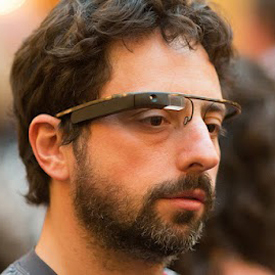 hongjun's Blog: Google Project Glass - How can it be used? Google revealed some information about their ongoing research project on Google Glass - a project that will make Google Goggles and other mobile apps more useful. Using a special pair of glasses, it is able to search for information, share information, and many more, just like using a smartphone. the glasses will go on sale to the public by the end of the year. These people said they are expected “to cost around the price of current smartphones,” or $250 to $600.